We are asking people in the Jewish community to share why they give. 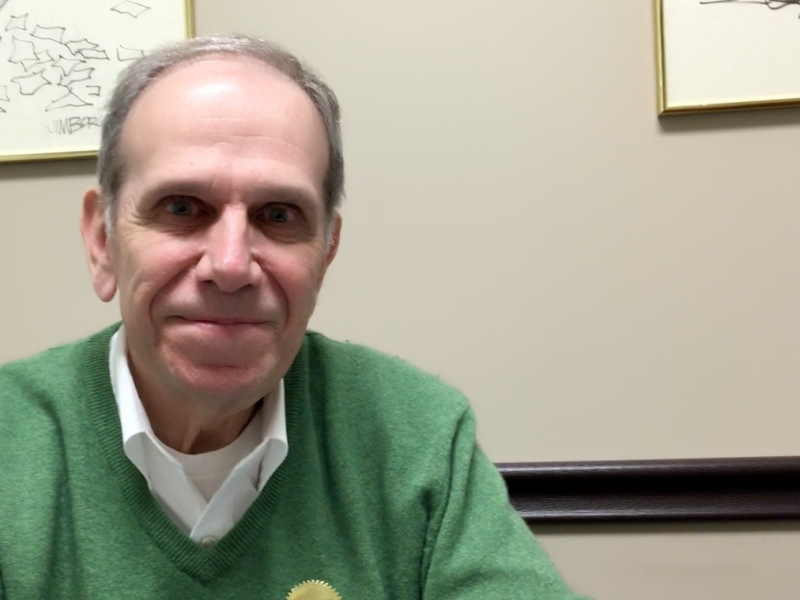 Here, we ask longtime volunteer and donor Larry Neuman. Federation: So, fundamentally, why do you give and volunteer in the Jewish community? Larry Neuman: I know what it’s like to grow up without a strong Jewish community. I grew up in largely a non-Jewish world. My high school had four Jews out of 1300 students. So I had no Jewish friends. There was no Jewish youth group for children my age. What saved me was Shabbat. Federation: Can you say more about Shabbat? Neuman: My Jewish world was Shabbat. My mother said the blessing over the candles and my father said the Kiddush. We always had extended family members for Shabbat dinner. We frequently went to Friday night services when our synagogue had them. Shabbat morning I was dropped off at the synagogue from the time I was seven to fourteen. Both my parents worked on Saturday. For most of those years, I was the only child at services. My fundamental Hebrew education was largely due to reading the Hertz Chumash while at services. The cantor walked me to my grandmother’s house where I “bubby-sat” Shabbat afternoon. She was very religious and had a mikvah in her basement, the only one in Lexington. Finally, my Jewish world expanded when I attended Camp Blue Star for three years as a teenager. Federation: Did you learn to give from your parents? Neuman: My parents never talked to us about tzedakah. It was just something you did. They made sure I did not forget to take a dime to Sunday School to buy a leaf for my JNF tree. My father had been president of the synagogue. After he died, I found a letter of thanks that Prime Minister David Ben Gurion sent him for raising money for Israel. Both my parents were very active in Jewish and non-Jewish organizations. My parents were always helping family members and others in time of need. What I learned from these experiences is that you need a Jewish community to be Jewish, and the Jewish Federation supports our Cincinnati Jewish community. We [my wife and I] are great believers that God could have created a perfect world but God didn’t. God created man and woman with free will to make choices. And Judaism charges us to repair the world, to complete the task. Carol and I are hopeful that people will look for the opportunity to do mitzvahs every day. They’re out there. You can feel good about doing them. You do more good for yourself, doing good for others, than the good that you do for others. Federation: How did you and Carol become involved in all your volunteer work? Neuman: I became involved in the Jewish Federation one year after moving to Cincinnati in 1970 when I was asked by Mark Berliant to handle obtaining its tax exemption from the IRS. I became involved in Yavneh [Day School] when I was asked to negotiate a lease between Yavneh and Adath Israel for free. As a result, we decided to try Yavneh for our children. When our youngest was five, Carol had a choice to make, return to the Wyoming school system or teach at Yavneh for substantially less pay. She chose to teach at Yavneh because she thought she could add value to raising children in a Jewish environment. We became involved in Cedar Village because we knew that Carol’s parents would someday spend their golden years in its robust, caring Jewish environment. We became involved in The Center for Respite Care because the President of the Jewish Federation encouraged its board members to serve on the board of a non-Jewish agency. I became interested in Jewish Cemeteries of Greater Cincinnati because I visit the graves of my parents each year before the High Holidays in Louisville. Since I am counting on the Louisville Jewish community to take care of graves of some thirty relatives, I thought I should be involved in taking care of Jewish graves in Cincinnati. Federation: Thank you so much. Last words? Neuman: I have learned if one is open to service, those opportunities will come your way. Not only do you feel good for being able to help, but you meet wonderful people, who become your very good friends. 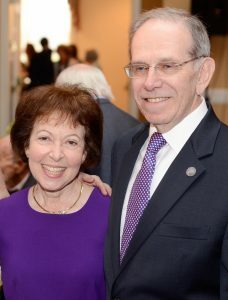 Larry Neuman: Jewish Federation of Cincinnati’s Board and Finance Committee and presidents’ committee, Co-Chair of Federation’s Super Sunday with Carol, member of Moss Society and Silver Circle Society; Create Your Jewish Legacy Federation Committee team leader for the Jewish Cemeteries of Greater Cincinnati (chair); Federation Mensch Award recipient; Cedar Village Foundation chair; President, Yavneh Day School; Adath Israel’s Men’s Club; treasurer, Jewish Cemeteries of Greater Cincinnati; Jewish Home of Cincinnati, Inc; Cedar Village Board and Executive Committee , Cincinnati Jewish Community School; Board Member, Cincinnati Hillel; member, Finance Committee of Jewish Federation of Cincinnati. He also has been on the endowment committee for Cedar Village Foundation(chair), Yavneh Day School Association, Inc. (co-chair), Jewish Cemeteries of Greater Cincinnati. For Adath Israel, he has served as member of board and of 12 committees, currently religious services committee and Brotherhood’s L’Chaim Committee, Aliyah Gabbai for Yizkor for the 3 Festive Holidays, and, continuing the importance of Shabbat from his childhood, at least one Shabbat per month for 35 years. In addition, he has sponsored a weekly Lunch and Learn with Rabbi Preis of the Kollel for 19 years. Carol is also a member of the Moss Society. She was a teacher at Yavneh Day School for 20 years. She served on the Jewish National Fund Board for 19 years. For Federation, she was cochair of Super Sunday with Larry, a solicitor, and a member of Silver Circle Society. At Adath Israel Synagogue, she served as cochair with Larry of Mitzvah Day for two years; was Sisterhood Board education chair. She served on the Cedar Village Golf Committee, as chair of the Yavneh Day School Bingo Committee, is a Life Member of Hadassah. Thank you to Larry and Carol Neuman for their generosity in time and money to the Jewish community. Our community gives back with incredible generosity every day: see the whole Why I Volunteer/ Why I Give series here. The Jewish Federation of Cincinnati: Together we can do almost anything.